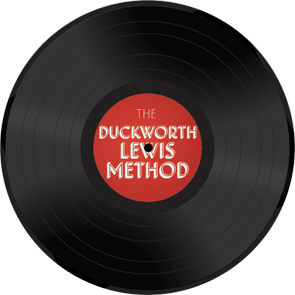 James Belfield reviews the latest long player from The Duckworth Lewis Method. In the world of cricket-themed concept albums, The Divine Comedy's Neil Hannon and Thomas Walsh top the averages. But this is no T20, modernised version of a sports tribute album, the pair's perfect opening combination of irony and specifics (The Umpiredeals with the horror of TV technology, Judd's Paradox speaks of cricket and Marxism) makes for an offering to appeal to the five-day fan, for someone who believes cricketers wear white and walk when they've felt a nick. 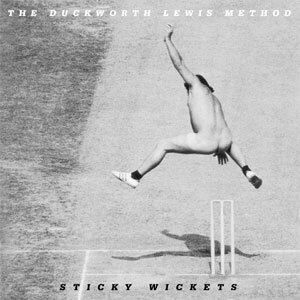 Don't know what I'm on about, feel free to turn the page, but if you're someone for whom The Ashes means a month-and-a-half of sleepless nights, angst and bets with Aussie sidekicks over the washing up, then the DLM provides a soundtrack to your tragedy. That Hannon's channelled ELO for his musical inspiration and recruited cross-code non-test specialists such as Daniel 'Harry Potter' Radcliffe and Stephen Fry, and brought Henry Blofeld and David Bumble Lloyd back from retirement makes for a seriously interesting listen too. This is The DLM's second innings and proves they're flashing hard outside the off peg, smiling beneath their lids and batting for fun, not for the tea-break.